Rev. 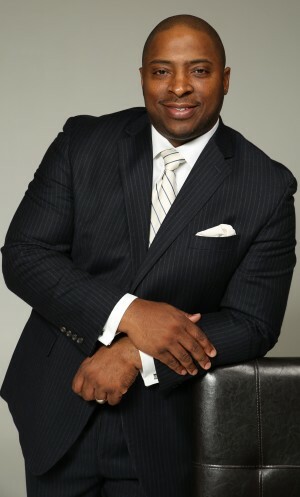 Christopher Boston is a humble servant of Jesus Christ who goes by the simple motto, “I just want to do God’s will.” Having preached as a minister of the Gospel since January of 2000, he was installed as the Senior Pastor of the Lamb of God Missionary Baptist Church of Milwaukee, Wisconsin in September 2012. He is the third pastor in the 60-year history of the church. Prior to his pastoral call, he served under the leadership of Dr. Archie L. Ivy as an Associate Minister of the New Hope Missionary Baptist Church of Milwaukee, Wisconsin and was ordained in December 2002. In addition to his pastoral responsibilities, he is the Director of Sustainable Communities for the Local Initiative Support Corporation (LISC) Milwaukee office. Before joining LISC, he was the youngest Lead Organizer/Director of Milwaukee Inner-city Congregations Allied for Hope (MICAH) at the time of his tenure. Rev. Boston is frequently called upon to speak at conferences and workshops on issues relating to the role of faith in community organizing, civic engagement and leadership development. Although he studied International Management at the University of Wisconsin-La Crosse, his passion lies in leading God’s people and transforming the community to His glory! He has led workshops and trainings across the country helping individuals and organizations develop strategies that foster community transformation. Additionally, he has participated and presented at the Aspen Institute Roundtable’s Community Change Seminar on Racial Equity and Society and was recognized by the Congressional Black Caucus as an Emerging Leader at the request of Congresswoman Gwen Moore. In 2013, Rev. Boston was selected to the 20th class of the Business Journal’s “40 Under 40” profile of Milwaukee leaders. A devoted family man, Christopher Boston is husband to Mrs. Tonnie Boston and they are the proud parents of twin boys, Terak Christopher and Caius Torrie.